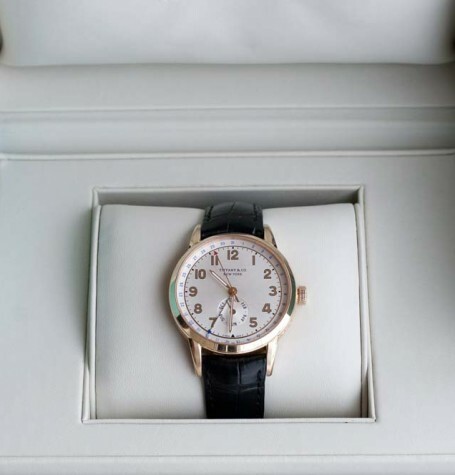 Tiffany & Co CT60 Calendar watch in solid rose gold with all boxes and papers. The Tiffany CT60 Calendar watch is crafted in solid Rose gold. 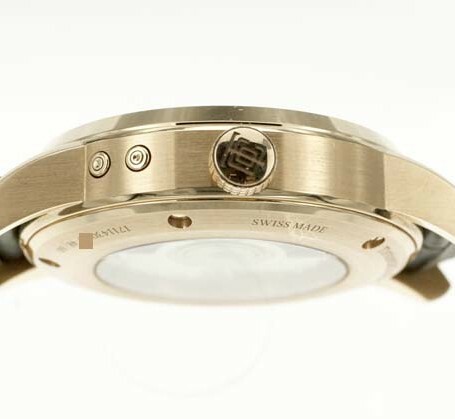 The case is a significant statement on the wrist with a diameter of 40mm, the same as a Rolex Submariner, but with a healthy dose of styling. 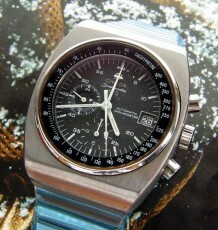 Most notably the sloping lugs with angled edges. 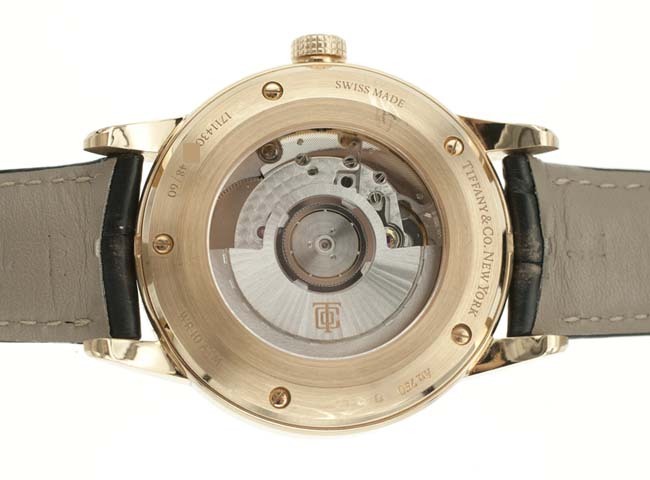 The large legible dial is a silvered white with a prominent sub register in the lower portion. 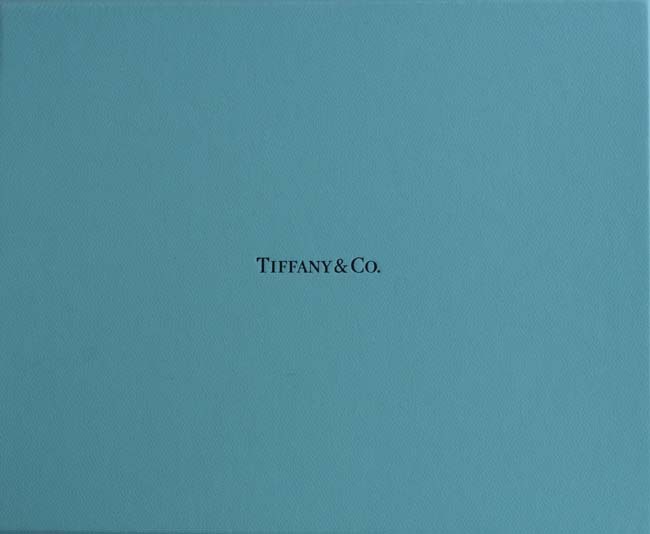 Instead of the register being for the usual sub-seconds display, Tiffany designers have placed the month indicator in this spot. 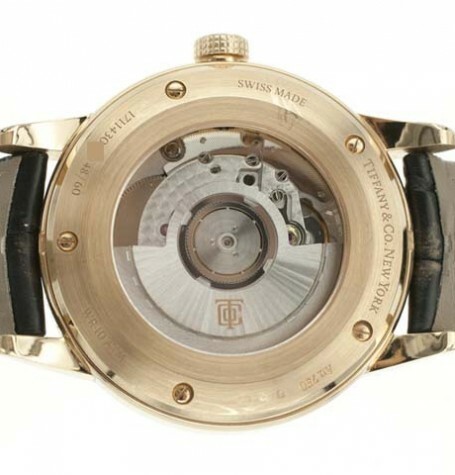 The day of the month is printed on the outside of the sweep seconds chapter around the outer portion of the dial. A blue tipped pointer hand indicates the date of the month while a red tipped sweep seconds hand illustrates the passing seconds. 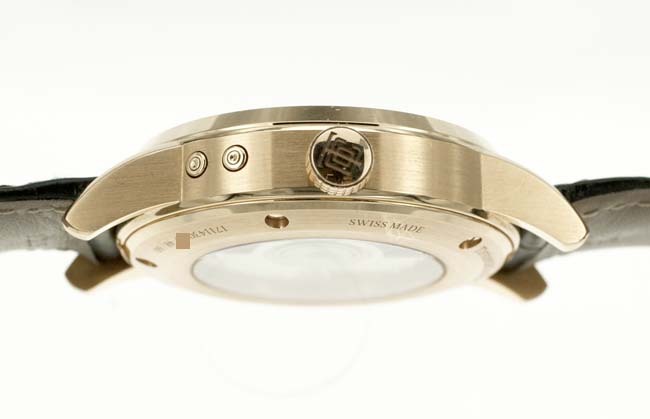 The watch has sapphire crystals on both the front and rear of the watch. 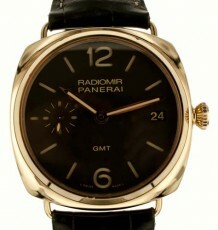 The main crystal mounted on the front of the watch is particularly large as the watch does not have a pronounced bezel. 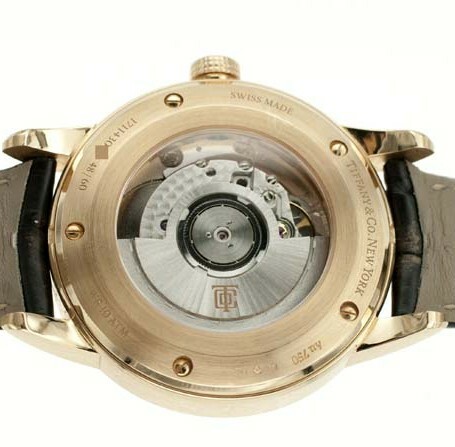 The sapphire window in the caseback reveals the inner workings of this benchmark watch. 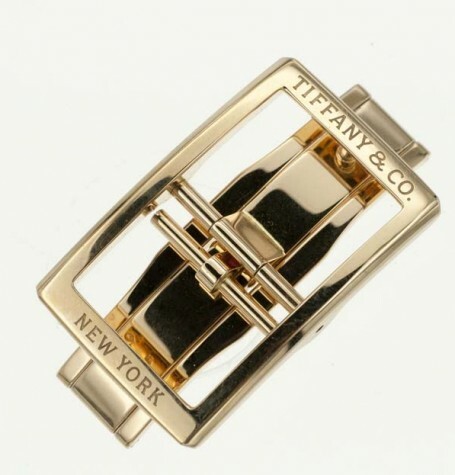 The movement fitted in it is a custom designed application for Tiffany. 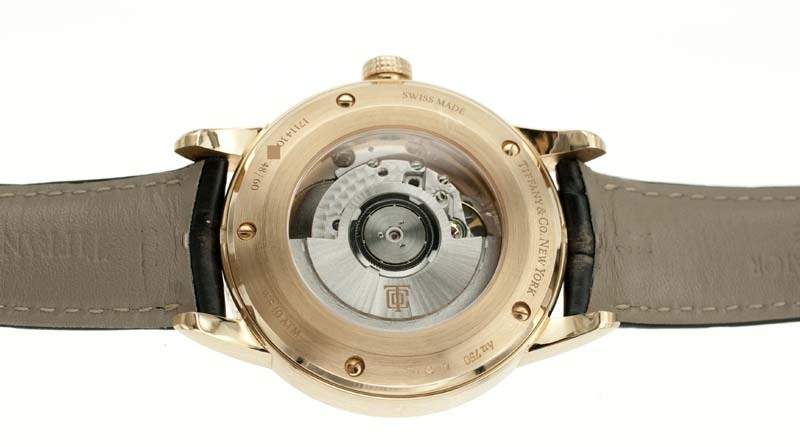 The Dubois Depraz caliber 5933 features the date, month, and time. 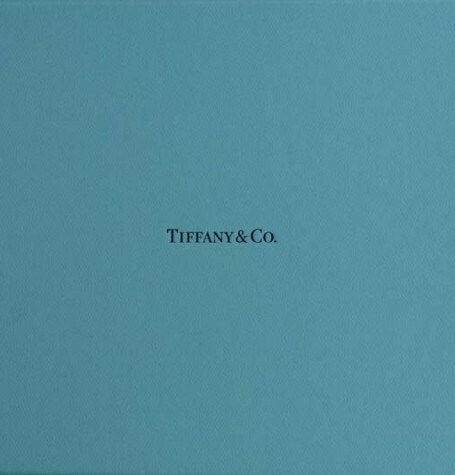 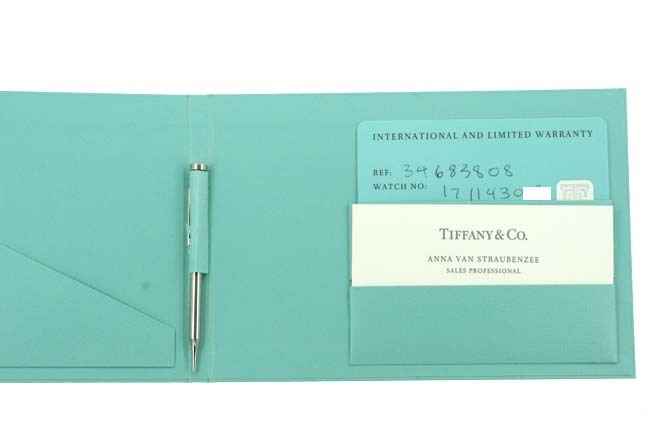 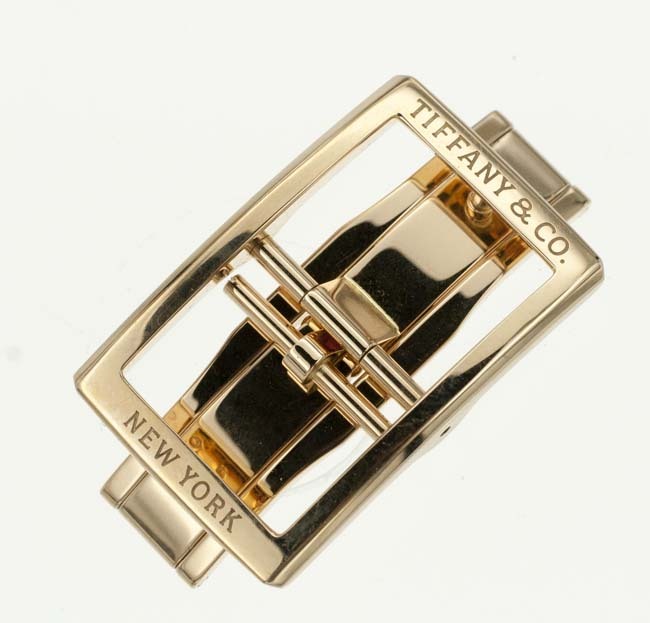 The solid gold rotor carries a Tiffany logo etched into the rotating weight. 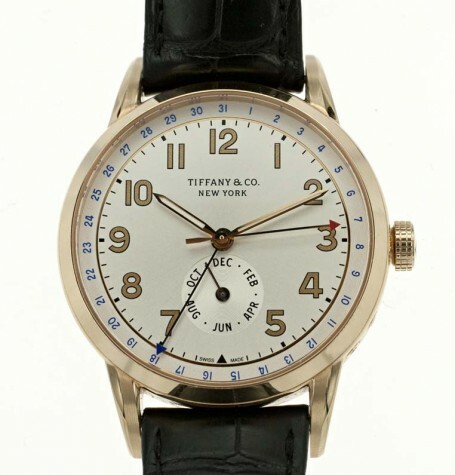 Worldwide, Tiffany & Co only commissioned 60 examples of this rare and spectacular watch, each example is individually numbered. 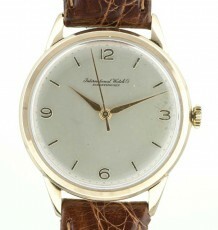 This particular watch was bought and worn a handful of times. 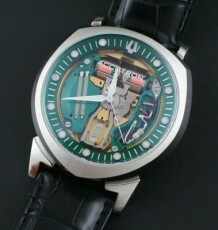 The photos clearly show the near pristine condition of the actual watch for sale. 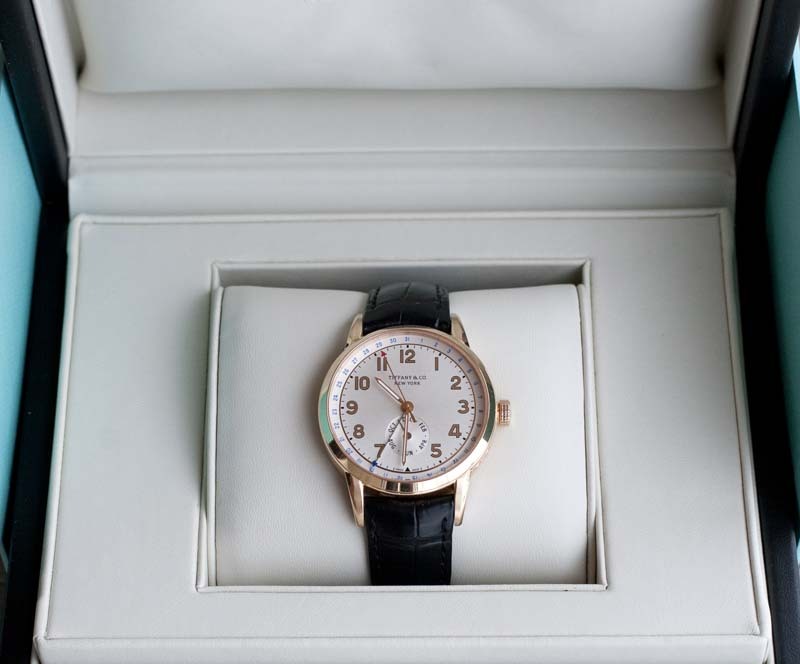 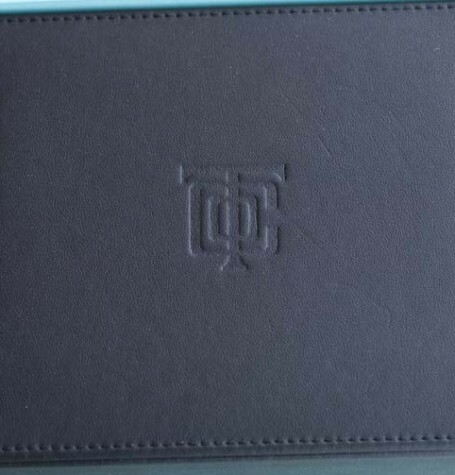 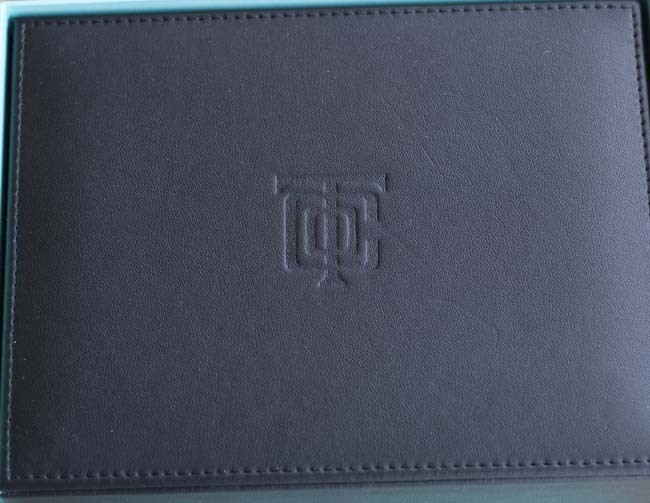 This landmark timepiece comes with all boxes, tags and warranty cards. 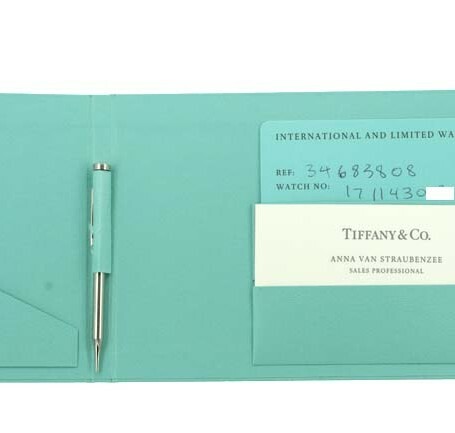 Naturally given the price we can only accept wire transfer as payment.